To be really good at CSS, you have to learn CSS. I know this sounds like a tautology but I’ve become aware of a peculiar attitude that preprocessors such as SASS are somehow successors to CSS. Some SASS and LESS nerds are fond of proliferating the following aphorism. It should be noted that its author did not himself intend it as an advocation of preprocessors. They forget that all preprocessors do is make writing CSS easier, not qualitatively different: It’s still CSS that comes out of the end. This is a shame, because vanilla CSS deserves some credit for being a powerful, rule-based language all its own and — when it comes to solving the kind of design problem I shall be exploring in this post — it doesn’t matter how you “preprocess” the CSS; it’s the naked CSS logic that does the heavy lifting. Put down your classes, ladies and gentlemen, because we’re talking about dynamic content and they cannot save you now. If you look at which item numbers correspond to potential orphans (items that would be orphans if they were the last items), the first thing you’ll notice is that the list begins with “1″: We don’t want a single item, all on its own, to appear at 33.333% width. That would be weird. Counting up, 4, 7, 10, 13, 16 follow 1 as potential orphans. The interval, you will notice, is three. In other words, if you minus 1 from each value, you’re looking at the three times table. Now we’re getting somewhere. This is where CSS’s spectacularly useful :nth-child pseudo-class comes in. Since :nth-child can accept algorithmic arguments, we can predict and target potential orphans ad infinitum. If, like me, you’re not familiar with mathematical syntax, the 3n part just means 3 x n. The algorithm does this for values of n going up in integers (0, 1, 2, 3, etc. etc. etc.). So, 3n + 1 is first equivalent to 3 x 0 + 1, which equals 1. Then it’s equivalent to 3 x 1 + 1, which is 4. That’s the pattern we want, but our selector isn’t finished quite yet. (For a more detailed explanation of :nth-child, consult “Lord Of The Hootenanny”, Chris Coyier’s 2010 post). Of course, making the orphan “full width” is just to satisfy my tenuous Tetris analogy. Instead, you could bring the orphan neatly into the center. 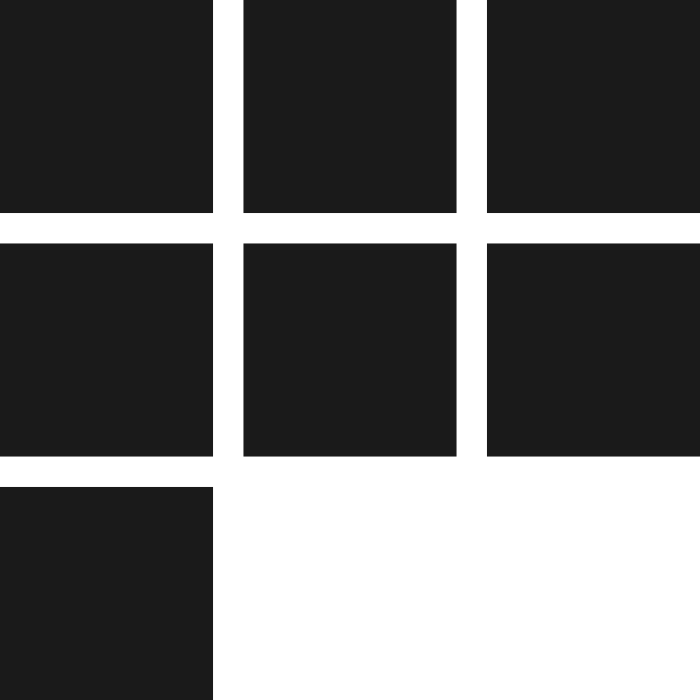 Did you think I was actually going to recreate Tetris in CSS? Sorry, no. Nobody needs to do that. This update is dedicated to Aditya Raisinghani who left a comment with the great idea of incorporating nth-last-child(2) to make the last two items each 50% width. How are we going to do this? 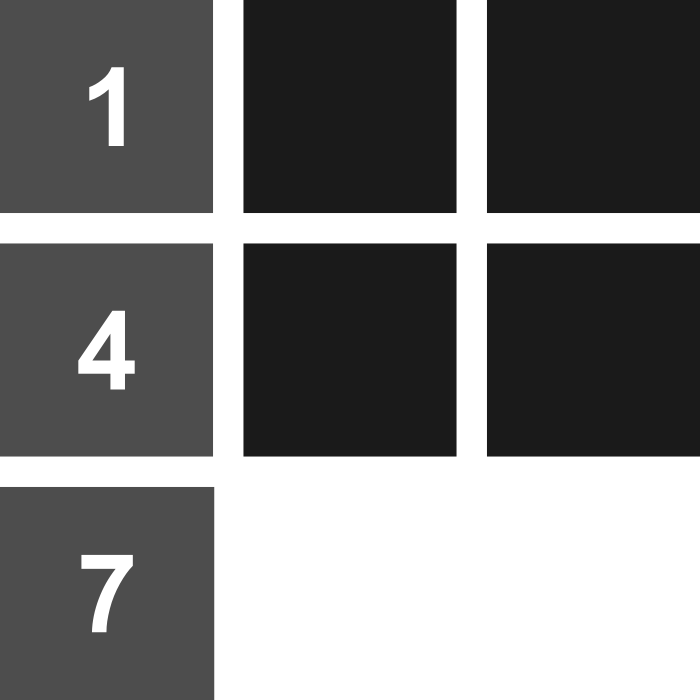 The logic states, “if the second last item falls in the first column, make it and the one after it 50% width to fill the row”. In the following snippet, I am going to combine Aditya’s selector with an adjacent sibling combinator to fulfill the “one after it” part. We could, of course, use 3n + 2 again, but I prefer the way this reads.